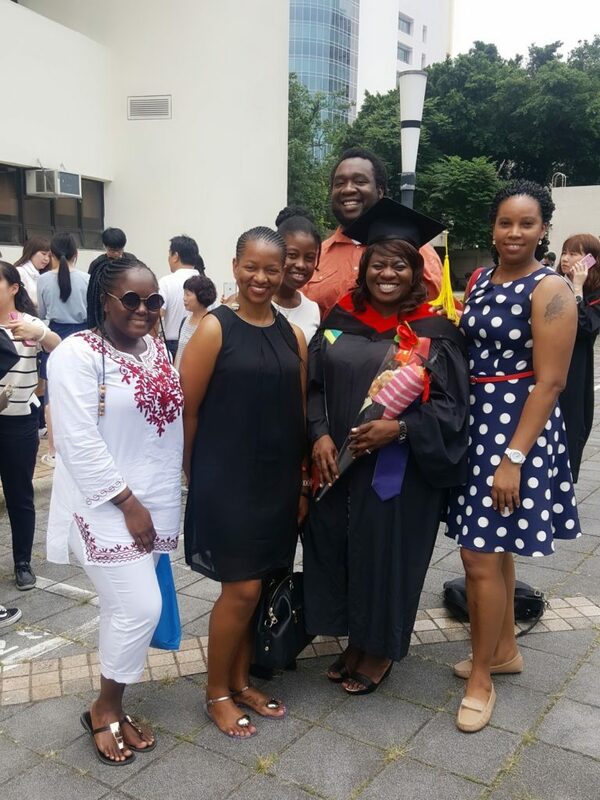 Nurse Novelia Rawlins-Nwosu- who works at Joseph Nathaniel France General Hospital last week Saturday 10th June 2017 bagged Master’s degree with honorable distinctions in International nursing science MSc (Hons) at prestigious National Taipei University of nursing and health sciences (NTUNHS) Taiwan. 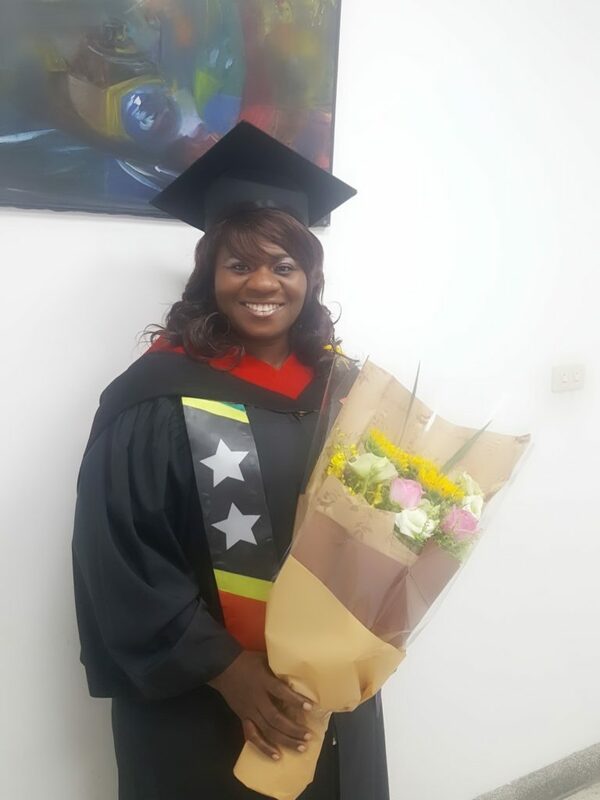 Interestingly she has contributed intellectually to the understanding of problem of Patients with Chronic Kidney Disease through her research thesis on: Knowledge attitude and practices among Chronic Kidney Diseases (CKD) patients in St Kitts and Nevis. Her academic thesis remains significant as non-communicable diseases (NCD’s) are currently number one health issues in St. Kitts and Nevis. However it is remarkable to note that nurse Rawlins-Nwosu hails from a humble background, of Upper Monkey Hill, St. Peters. Despite all odds she did not allow anything to deter or hinder her childhood aspiration or goal of becoming a distinguished nursing professional. Novelia started her primary school at Seventh-day Adventist primary school and went to Basseterre junior and senior high school and there after she left to work in the private sector to support herself and family. In September 2004 she got admission at the Clarence Fitzroy Bryant College (CFBC) and graduated in 2007 with Associate Degree in General Nursing and started working at the JNF General Hospital. In 2011-2012 she again graduated with certificate in midwifery from the CFBC. Nurse Rawlins- Nwosu is certified Registered Nurse and Midwife. She is dynamic and highly professional nurse who has garnered over 9 years’ experience in various capacity at JNF General Hospital. She has earned the respect and acknowledgement for her industrious and dedication from many. Nurse Rawlins-Nwosu has availed herself with various on the job opportunity for education and training. She has attended various local, regional and international seminar, workshop, training, including undertaking some online education. It was a turning point for Nurse Rawlins-Nwosu as she received scholarship for graduate program in Taiwan at the National Taipei University of Nursing and Health Sciences (NTUNHS) the nation’s premier and flagship nursing institution. She purposeful pursue and vigorously completed her Master’s degree courses and thesis in international nursing and graduated with distinction. Indeed, Nurse Rawlins –Nwosu has worked incredibly hard throughout her two years in Taiwan to graduate eventually with honors. We are so proud of this illustrious daughter of the soil, one of our best nurses for her intellectual excellence. Undoubtedly her determination and courage has endeared her to many and she has been a model and inspiration for other young girls and women in our society. We trust that as she returns to the Federation she will continue to serve and contribute meaningfully to our country’s development in health care.